Please enjoy the complete unabridged text with original illustrations. Happy Holidays from Las Vegas Top Picks! A terrible voice in the hall cried. “Bring down Master Scrooge’s box, there! 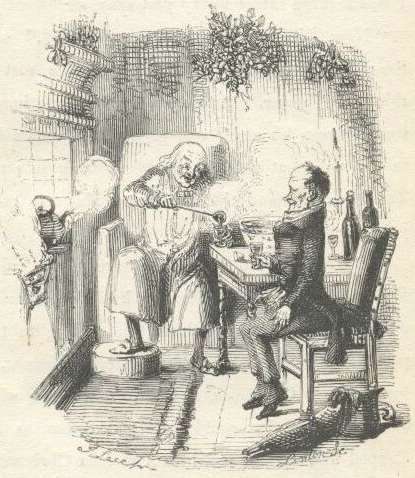 ” and in the hall appeared the schoolmaster himself, who glared on Master Scrooge with a ferocious condescension, and threw him into a dreadful state of mind by shaking hands with him. He then conveyed him and his sister into the veriest old well of a shivering best-parlour that ever was seen, where the maps upon the wall, and the celestial and terrestrial globes in the windows, were waxy with cold. Here he produced a decanter of curiously light wine, and a block of curiously heavy cake, and administered instalments of those dainties to the young people: at the same time, sending out a meagre servant to offer a glass ofsomething to the postboy, who answered that he thanked the gentleman, but if it was the same tap as he had tasted before, he had rather not. Master Scrooge’s trunk being by this time tied on to the top of the chaise, the children bade the schoolmaster good-bye right willingly; and getting into it, drove gaily down the garden-sweep: the quick wheels dashing the hoar-frost and snow from off the dark leaves of the evergreens like spray. But if they had been twice as many: ah, four times: old Fezziwig would have been a match for them, and so would Mrs. Fezziwig. As to her, she was worthy to be his partner in every sense of the term. If that’s not high praise, tell me higher, and I’ll use it. A positive light appeared to issue from Fezziwig’s calves. They shone in every part of the dance like moons. You couldn’t have predicted, at any given time, what would become of ’em next. And when old Fezziwig and Mrs. Fezziwig had gone all through the dance; advance and retire, hold hands with your partner, bow and curtsey; corkscrew; thread-the-needle, and back again to your place; Fezziwigcut — cut so deftly, that he appeared to wink with his legs, and came upon his feet again without a stagger. 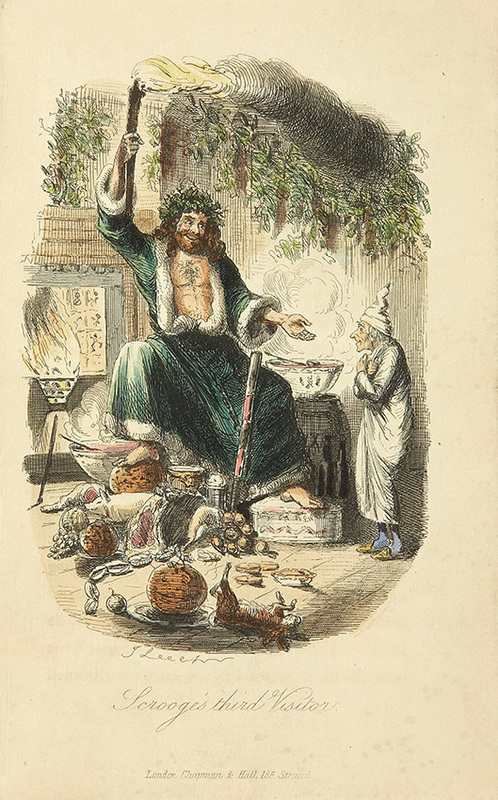 And perhaps it was the pleasure the good Spirit had in showing off this power of his, or else it was his own kind, generous, hearty nature, and his sympathy with all poor men, that led him straight to Scrooge’s clerk’s; for there he went, and took Scrooge with him, holding to his robe; and on the threshold of the door the Spirit smiled, and stopped to bless Bob Cratchit’s dwelling with the sprinkling of his torch. Think of that! Bob had but fifteenbob a-week himself; he pocketed on Saturdays but fifteen copies of his Christian name; and yet the Ghost of Christmas Present blessed his four-roomed house! 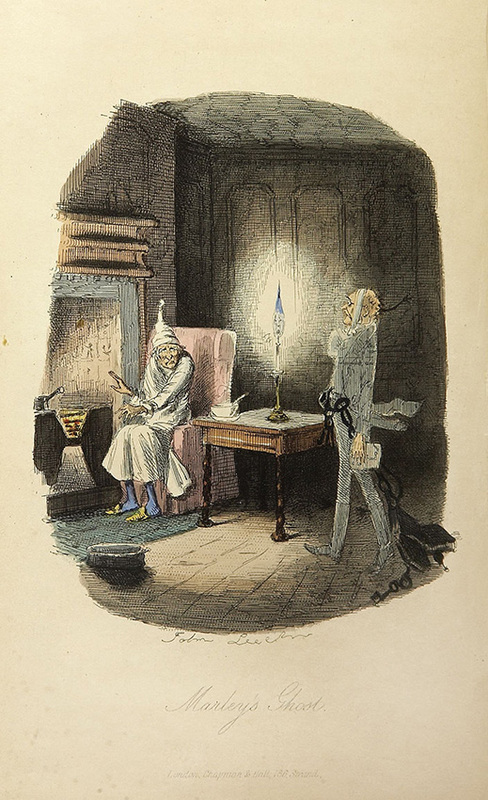 Scrooge’s niece was not one of the blind-man’s buff party, but was made comfortable with a large chair and a footstool, in a snug corner, where the Ghost and Scrooge were close behind her. 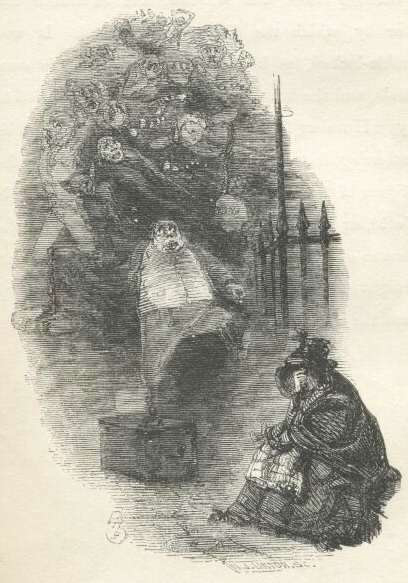 But she joined in the forfeits, and loved her love to admiration with all the letters of the alphabet.Likewise at the game of How, When, and Where, she was very great, and to the secret joy of Scrooge’s nephew, beat her sisters hollow: though they were sharp girls too, as Topper could have told you. There might have been twenty people there, young and old, but they all played, and so did Scrooge; for, wholly forgetting in the interest he had in what was going on, that his voice made no sound in their ears, he sometimes came out with his guess quite loud, and vey often guessed quite right, too; for the sharpest needle, best Whitechapel, warranted not to cut in the eye, was not sharper than Scrooge; blunt as he took it in his head to be. Oh cold, cold, rigid, dreadful Death, set up thine altar here, and dress it with such terrors as thou hast at thy command: for this is thy dominion! But of the loved, revered, and honoured head, thou canst not turn one hair to thy dread purposes, or make one feature odious. It is not that the hand is heavy and will fall down when released; it is not that the heart and pulse are still; but that the handwas open, generous, and true; the heart brave, warm, and tender; and the pulse a man’s. Strike, Shadow, strike! And see his good deeds springing from the wound, to sow the world with life immortal. 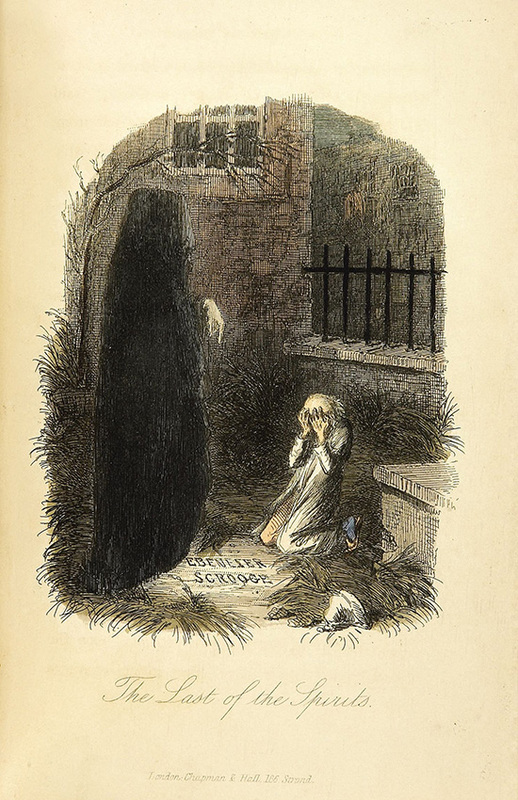 Scrooge crept towards it, trembling as he went; and following the finger, read upon the stone of the neglected grave his own name,Ebenezer Scrooge. He dressed himselfall in his best, and at last got out into the streets. 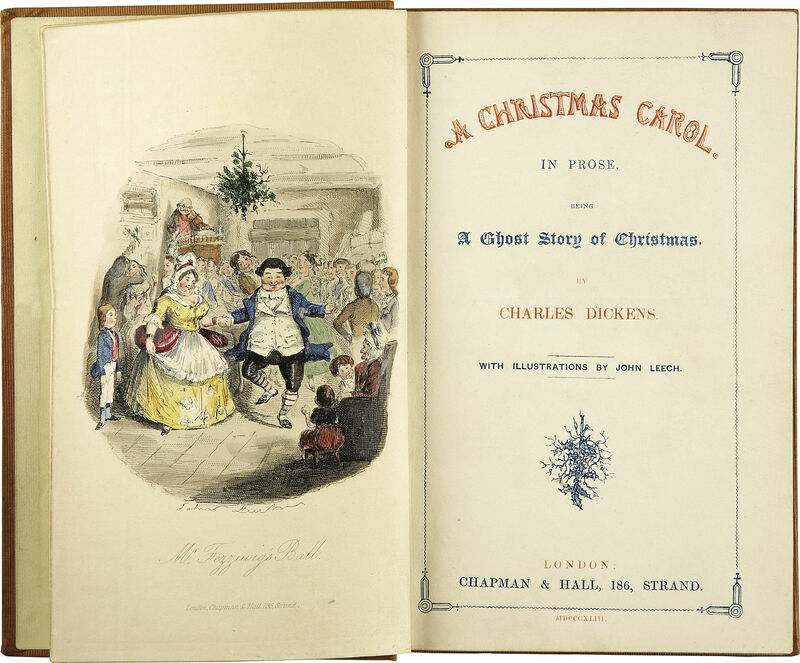 The people were by this time pouring forth, as he had seen them with the Ghost of Christmas Present; and walking with his hands behind him, Scrooge regarded every one with a delighted smile. He looked so irresistibly pleasant, in a word, that three or four good-humoured fellows said, “Good morning, sir! A merry Christmas to you!” And Scrooge said often afterwards, that of all the blithe sounds he had ever heard, those were the blithest in his ears. Scrooge was better than his word. He did it all, and infinitely more; and to Tiny Tim, who didnot die, he was a second father. He became as good a friend, as good a master, and as good a man, as the good old city knew, or any other good old city, town, or borough, in the good old world. Some people laughed to see the alteration in him, but he let them laugh, and little heeded them; for he was wise enough to know that nothing ever happened on this globe, for good, at which some people did not have their fill of laughter in the outset; and knowing that such as these would be blind anyway, he thought it quite as well that they should wrinkle up their eyes in grins, as have the malady in less attractive forms. His own heart laughed: and that was quite enough for him.